In a promotion to gain more followers, and increase engagement with fans on Twitter, the Tampa Bay Lightning have started a social campaign, Seat Seeker. PAIR OF OPENING NIGHT TICKETS ON THE GLASS ARE HIDDEN SOMEWHERE IN TAMPA BAY. WANT THE SEATS? WE NEED THE TWEETS. Every time a fan tweets with the #BeTheThunder hashtag, the closer we’ll zero in on the location of the tickets. Once the location is revealed, the first person who finds them wins. Start tweeting and sharing, because the more people who tweet, the closer you’ll get to the seats! This is a great example of sports teams marketing with social media, in that there is an incentive “tweets until next zoom,” in which every time someone tweets with the hashtag, #bethethunder, the map will zoom in to focus more closely on the location of the tickets. 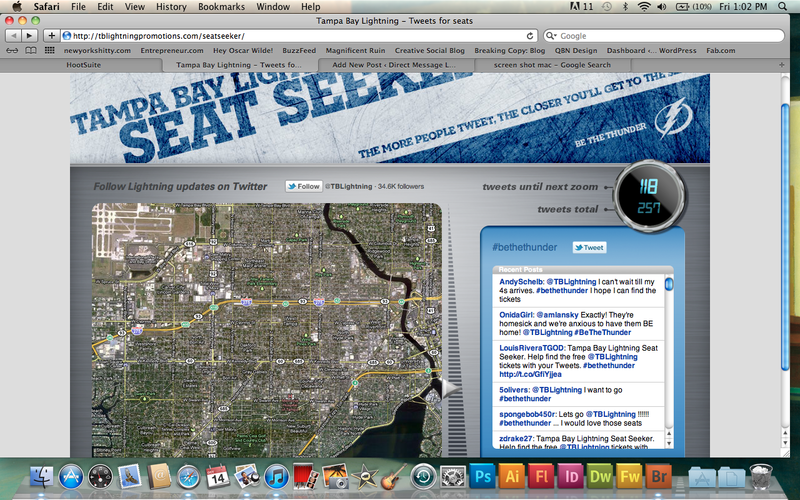 With #bethethunder, they allowed their fans to follow the contest, and increase engagement across their Twitter page. With DML’s REACH v4, a sports team could not only increase their number of followers and fan loyalty, they could attain deep user profiles of their fans, and market them in multiple channels, including other social channels, social apps and mobile apps. DML REACH also provides analytics of of the contest to gauge how many people are participating, which users are the most influential, and with social monitoring, you can search multiple blogs, news portals and forums to see who is talking about your team. Facebook released an entirely new perspective on a user’s social profile call Timeline (https://www.facebook.com/about/timeline). Timeline is fundamentally a catalogue of the user’s whole life (at least as he may have uploaded it to Facebook) curated by the user. Users choose a cover photo and highlight life events (e.g, birth of a child, marriage, etc.) to tell their story. To make the whole timeline manageable, Facebook condenses the information that is displayed in the user’s Timline the further back in time you scroll. What is most meaningful for marketers is that users can connect applications to their Timelines. Once connected, an app automatically loads information and actions into a user’s Timeline. The actions can be any verb and noun combination – listening to music, cooking a recipe – that the brand establishes for its apps. 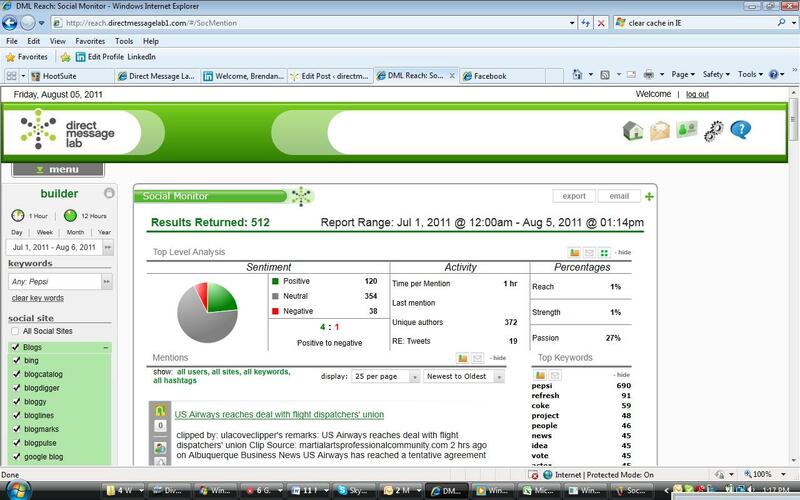 If it meets relevancy criteria (see GraphRank below) the auto-inserted information appears in the Ticker of the user’s friends. The insertion continues forever or until the user actively stops it – which is great for brands!. Important events also appear in the user’s News Feed. 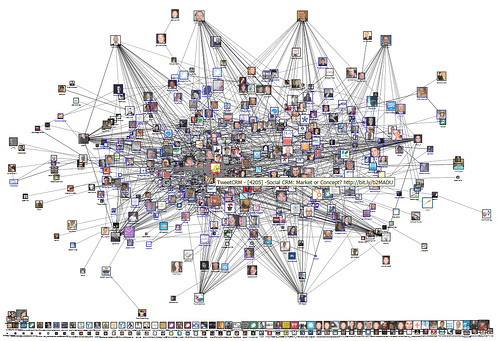 The Ticker drives social discovery of your app, and your brand, by the user’s friends. For marketers, application and brand discovery have always been a problem on Facebook. To help solve the discovery issue, in addition to the compelling solution of the Timeline and the Ticker, Facebook has built a relevance filter called GraphRank. GraphRank promotes information based on the amount a user and his/her friends interact with an application and its content. More interaction – greater visibility, For marketers, this ups the ante to create and deliver applications and content that users want to, and do, regularly engage. The list is short but simple. First, audit your apps and see where including the “Add to Timeline” functionality would be relevant and add it. Second, continue to create experiences and content that users love – now you will be rewarded handsomely for your efforts. And third, design future apps with the Timeline and Ticker in mind. As you know, the Direct Message Lab platform is based around creating compelling, customized and targeted experiences for users. The new Facebook changes provide a wealth of new information for the REACH platform to target users, build user profiles and understand your customers on a granular level. We would be happy to provide assistance as you think about how the latest Facebook changes can help you connect with customers and build your brand. The F8 Dust Has Settled, What Does it Mean? The Interweb was shaken up last week, as Facebook introduced a round of new updates/features at the F8 Developer Conference. By now, you know that the Timeline, Open Graph and integration with music and movie services will all be rolling out to a Facebook page near you in the next coming months. But, what does this mean for Facebook, users and marketers? Back on May 27, 2011, after learning about how Zuck wanted to integrate music, movies, books etc. into Facbeook, we wrote an article expressing a concern that, while the social world is becoming united and intertwined, this influx of details from people’s lives would eventually become too much for any single user to handle. As Facebook has grown, it has segmented itself into two user bases; one side is the everyday user, who go on to see what their friends are up to, post a status update, poke, message, Like and comment. On the other side, there are the marketers, who try to get the users to Like their product or service, engage with their brand page and increase awareness for what they are offering. The F8 announcements were successful because there was something for everyone. Obviously, Facebook believes that your memory is shot, and the only way you can properly talk about “back in the day” is referencing your Timeline. It appears, at first glance, that the Timeline is their way of saying, “Hey, look. We told you we could store everything you ever said, did and thought.” Kind of creepy, but a cool feature for the every day user, nonetheless. Permissions will no longer be needed for Apps every time content is published to Facebook. Instead, there will be a Facebook permissions screen that users will only have to complete one time. The Open Graph updates will only appear in the new ticker. Unless, of course, it holds a higher value of importance, in which case it will show up in the News Feed. The Open Graph will allow users to share what they are watching, listening to, reading etc. in real-time via the Facebook Ticker. This will allow for seamless integration of third party apps to Facebook’s user base, and will help marketers target a more narrowed audience, based off of users interests and Likes via their Facebook profiles. As the Internet advances and adapts, Web 2.0 is being augmented by the fabric that Facebook has laid down. It is becoming a world of third party apps and Facebook Connect. The infrastructure of the web will be forever changed, and how people connect and disseminate (un)useful information about themselves, whether it be playing games, watching movies, listening to music, or any other activity you confine yourself to, the new Open Graph just made the web that much more social. I have always said if there ever came a day when I could no longer meet my duties and expectations as DML’s Co-Intern in Chief, I would be the first to let you know. I hereby resign as Intern at DML. I would like to serve, if the Board sees fit, as Intern Emeritus, Facebook friend and Twitter follower. As far as my successor goes, I strongly recommend that we execute our succession plan and name Brendan Dimitri as Intern in Chief at DML. I believe DML’s brightest and most innovative days are ahead of it. And I look forward to watching and contributing to its success in a new role. I have made some of the best friends of my life at DML, and I thank you all for the many months of being able to work alongside you. REACH v4 is the most efficient way to manage your social media marketing. With DML’s platform, content management and distribution is now easier than ever. 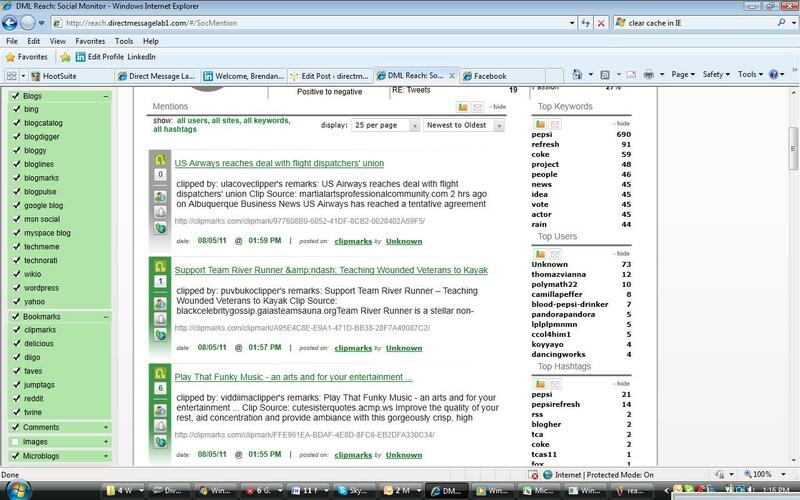 REACH v4 provides an easy way to create and deploy a message across your social networks and mobile channels. 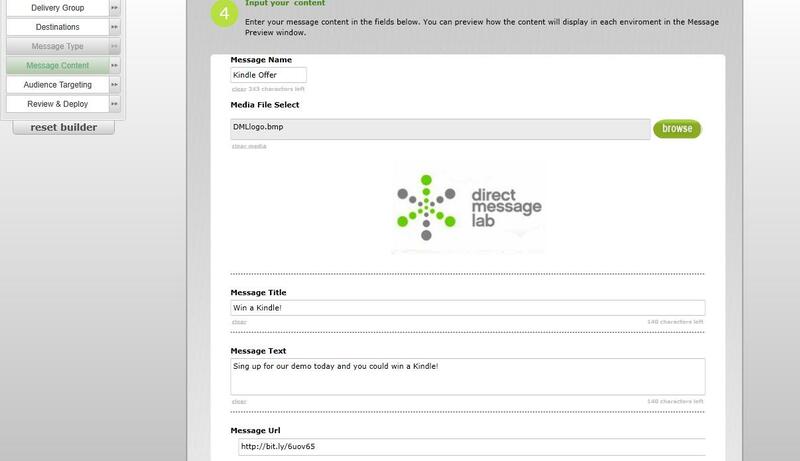 Each message is then stored in the REACH Library for future review by Message Name and date. The Bit.ly link shortener is built in, and you can attach multimedia directly through the platform. REACH v4 also has the capability to schedule messages to post to Facebook or Tweet at a later date, which enables brands the ability to plan out social campaigns across any given dates. Check out the Direct Message Lab web demos at www.youtube.com/dmlreach.